Buy 4 chocolate bunnies for just $20 at Purdys, Canadas chocolatier since 1907! Shop now for Easter  April 21st. Make your own schedule, earn cash when you want. Deliver with DoorDash! Start delivering today and make great money in your spare time! Apply to drive with DoorDash. Need to earn some extra money on the side? Like driving? Apply to drive with DoorDash here! Earn money on your time! Sign up to drive with DoorDash and set your own schedule. Apply now! Sick of clocking in? Become your own boss and make your own schedule with DoorDash. Start earning now! Are you ready to set your own schedule and EARN with DoorDash? Apply to drive with DoorDash now! Drive for DoorDash and start earning money on your own time! No passengers, no bosses, no limits! Delivery opportunities available in your areas. Earn money your own hours and make extra income. Let us Choose the Best Chef Prepared Meals for You! Subscribe for Healthy, Tasty Plant-Based Meals at Veestro.com! Change Meal Types, Pause, or Stop Any Time. Veestro.com Features Healthy, Tasty Plant-Based Meals. Subscribe and Save 10%. Change Meals, Pause, or Stop Any Time. Veestro.com Features Healthy, Tasty Plant-Based Meals. Subscribe and Save 10%! Change Meals, Pause, or Stop Any Time. 25% OFF site-wide for Valentine's Day! Make shopping for your Valentine easy this year with 25% off the sweetest treats from PEEPS & COMPANY! Use code GIFTS at checkout now through 02/14. Save 15% when You Order a Mix & Match Main and Side at BabethsFeast.com! New Year, New You! Save 25% Sitewide at Amazing Grass with code 'AGNEWYEAR25' for the best Green Proteins, SuperFoods & more! New Year, New You! 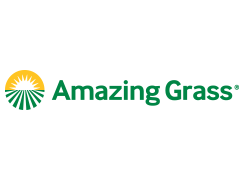 Save 25% Sitewide at Amazing Grass! Shop Green Proteins, SuperFoods & More! 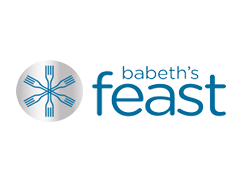 Sign up for Babeth's Feast Subscription Meals and Save $5 on Shipping! Offer Does Not Expire! FREE chocolate from Purdys! Enter code JUST4ME at checkout to get a FREE 3-pack of tasty milk chocolate hedgehogs automatically added to your order. Must spend $20+ and ship to a single address. Offer ends 4/21. Shop now! *CANNOT be combined with any other offer.